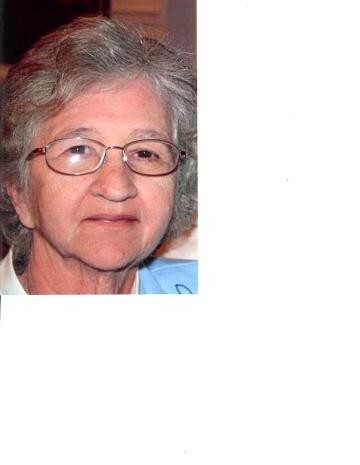 Martha Sharon Michael, 75, of Lowell, Ohio, died Thursday, June 28, 2018 at her home. She was born June 19, 1943 in Parkersburg, West Virginia, daughter of Wilbur and Geraldine Mildred Ellison Curry. She had worked at a children’s daycare for many years in South Carolina. She graduated from Warren High School in 1962. She was married on March 7, 1962 to Hollie C. Michael Jr. who survives. She is also survived by three children, Mark Michael and wife Barbara of Moncks Corner, S.C., Angie Stevens and husband Doug of Beverly and Kevin Michael of South Carolina; Four grandchildren, Danielle Stevens (John Rutter), Tyler Stevens ( Carissa), Nathaniel Michael ( Katelyn) and Brent Michael ( Franny); one brother, Larry Michael Curry of Barlow; and one sister, Geri Miller Grimes ( Gary) of Cleveland; several nieces and nephews. She was preceded in death by her parents; two brothers, William and Wilbur Curry; and two sisters, Lucretia Jo Street and Marlyn Ryan. Funeral services will be held at 11:00 am on Monday, July 2, 2018 at McCurdy Funeral Home in Beverly. Burial will be in Evergreen Cemetery. Friends may call 5-8 pm on Sunday. Donations may be made to the J. D. Miller Scholarship Fund in Memory of Sharon Martha Michael or the Alzheimer's Association.Online condolences may be made by visiting www.mccurdyfh.com.